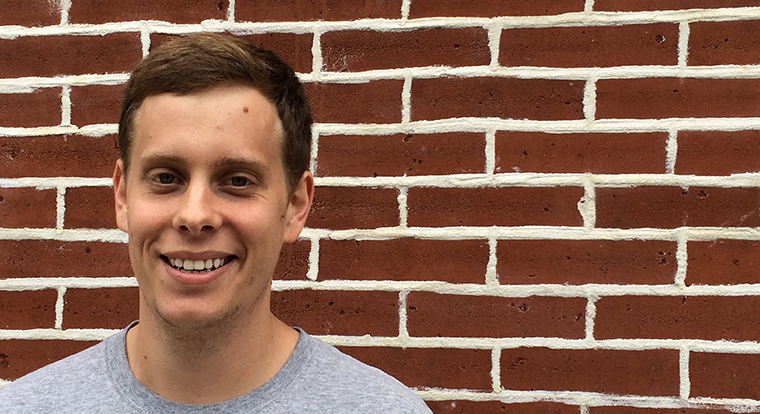 Daniel Myers has had a passion for robotics, design, and electronics since he was a kid. He built two boats, an electric go kart, a minibike, and a 20 foot long solar powered car he raced from Texas to New York, all before graduating from high school. Upon graduation, Dan attended Northwestern University in Chicago where he received a BS in Computer Engineering, a BM in French Horn Performance, and an MS in Computer Science in 5 years. During his time at Northwestern he built a number of autonomous competition robots with his now cofounder Kenny Tay, and spent summers working on the latest phones for Blackberry. After graduating, Dan joined ChannelIQ, an online ecommerce intelligence startup in Chicago where he built out a massive data collection and ingestion pipeline, helping the company to grow rapidly. Growing up in South Florida and later living in Chicago, Dan grew an appreciation for indoor climate control and built the first prototype of Flair for his apartment with Kenny’s help. Shortly after building the first system, he moved to China to prototype further and launch Flair. Dan lives with his wife in Berkeley, California, where Flair is headquartered. Flair is part of the Autodesk Entrepreneur Impact Program, which helps entrepreneurs and startups making a positive impact in the world get to market faster through access to free software, training, events, and co-marketing opportunities. Tell us about yourself and your journey from being a Computer Engineering and Computer Science student at Northwestern University to the inventor and founder of Flair? I think the first thing to realize is that the journey doesn’t start in college, and I think that is true for many. In 5th grade I built an electric go-cart, in 7th grade a minibike, and in 9th grade I rebuilt a small boat. In 11th and 12th grade, I used Autodesk Inventor to design a solar powered car. I built the car and founded a team at my high school, incorporated as a nonprofit, and raised over $50,000 in donations to race it from Texas to New York. I was lucky enough to have family that supported me in doing all these crazy projects and grandparents that were engineers themselves. 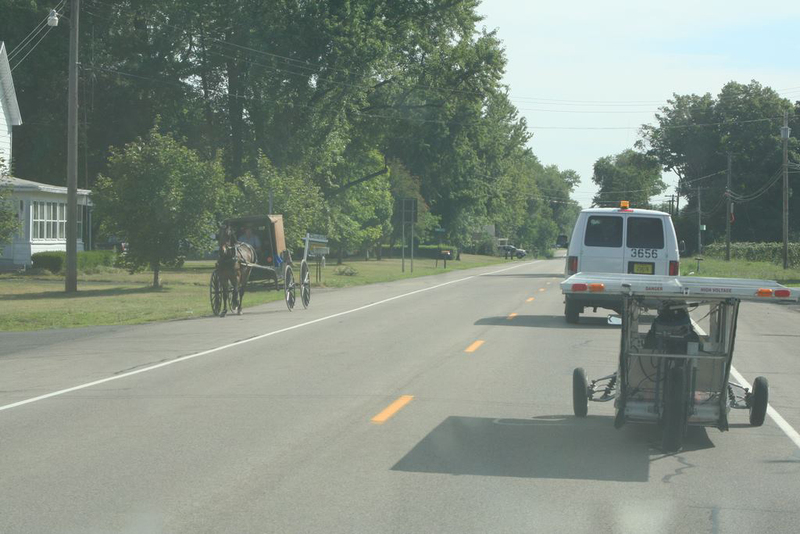 Our solar car during the race driving past an Amish buggy in Pennsylvania. Once at Northwestern, a few critical things happened that would make Flair happen. The most important one was meeting my co-founder Kenny Tay. Kenny, our CTO, had just arrived from Singapore and didn’t know what to expect from the US. After working on a group project together, we quickly became friends and ended up building robots for competitions together for a number of years while in school. The second was really adding depth in areas that I didn’t know as much about: computer science and embedded electronics in particular. I think projects like the solar car and robotics competitions are the absolute best way to prepare for starting a startup. It gives you hands-on experience on the technical side, teamwork skills (probably the single most important thing for early stage companies) and the ability to operate in ambiguity. Tell us more about Flair, the opportunity, and the problem it solves. Flair is an interesting set of products because of how widespread its applications are and how far reaching some of the sustainability aspects go. 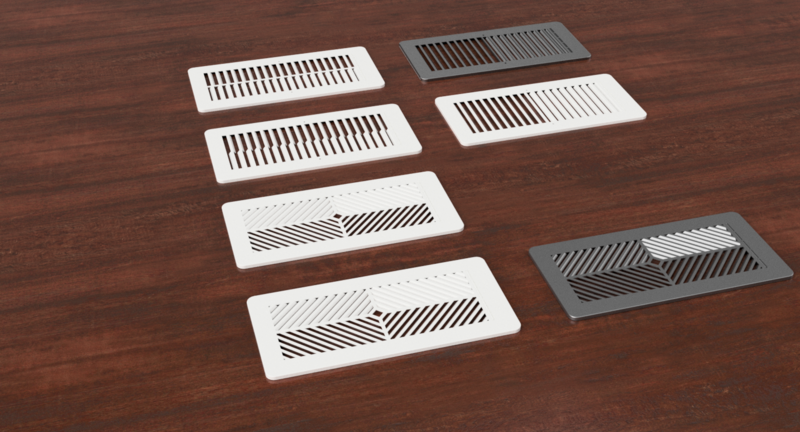 For central forced air systems (common to North America), Flair fixes balance problems where one room is too hot or too cold. We start by building an occupancy model for the home that leverages who specifically is in which room and when based on realtime observations and historical trends. We leverage the sensor data to know if that room needs more or less climate control and reconfigure the air distribution accordingly. By not overheating or overcooling empty rooms to make occupied rooms the right temperature, the HVAC system doesn’t need to run as long and that equates to less energy being used. An interesting thing that most in the US don’t realize though is that central forced air systems, while standard here, are actually almost unheard of for residential spaces in Asia, South America, Europe, and Africa. Instead, they use minisplit systems and window AC's typically controlled by a handheld remote. 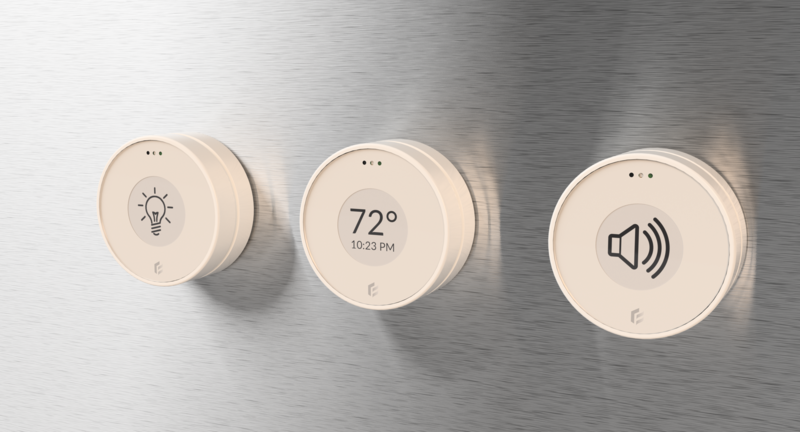 Our Puck is able to bring these devices on to the internet, meaning we can preheat and precool these spaces as well as provide an auto away feature which can really reduce wasted heating and cooling. Whether working on mechanical components or code, I tend to focus on understanding the problem as well as the constraints I am working within, whether they are technical, market, or even budgetary concerns. I am not an industrial designer and am largely self-taught in terms of mechanical engineering, so I tend to lean on my hands-on experience for solving technical problems in particular. On the UI/UX side, I try to balance the need to get user feedback with the realities of having a startup budget and needing to get units out the door. Design thinking is an area where my coursework at Northwestern has been really helpful. The first engineering courses you take have you solving problems in small teams where every crazy idea is always considered. My experience is that engineers tend to be smart but often a bit opinionated and not always open minded. Getting them to sit down and throw out ideas with the understanding that crazy is fine usually results in finding the diamond in the rough, even if it was only a tiny facet of one of those ideas. I think at this point my strongest skill is working with people. I feel confident hammering out code or drawing up a design I have been thinking about, but in reality, it takes a lot of working with people to get big projects off the ground. My experience is that working with people doesn’t necessarily mean being super organized or managing well. It’s more about understanding where everyone is sitting at any given time - are they excited to do this, is something bothering them, etc. When you work on a small team and build complex products, it’s important to make sure you trust everyone and can depend on their work. You also need to constantly communicate to make sure you aren’t stepping on each other’s toes, solving the same problems twice. The other thing about working with people is reading them quickly. When you are hiring, selling, or being sold to, you are always having to decide if a person is being sincere, if they can deliver on their promise, and if they can work well with you and the rest of the team. And for those on the team, if someone doesn’t like how something is going, or doesn’t feel like their ideas are being heard, you need to sense it and respond. There are two things that present the most risk to startups; running out of cash and team breakups. Solid technical teams can usually figure out how to stay funded, but happy teams tend to outperform and stay together. How does the use of Autodesk Inventor and Fusion 360 influence your designs and design process? The aforementioned solar car project was my first exposure to CAD and it’s really where my 3D modeling skills came from. I spent a summer just modeling with Inventor and then kept an accurate model of the car as design changes came up during construction. Having an accurate digital version made design considerations at each stage much easier, especially in the case of that solar car as there was only one of them, so if you needed to drill a hole in the frame, you could see why or why not it was workable. Now I use Fusion360 and I have noticed some substantial changes in my process. I use the rendering features quite a bit to understand what things will look like in context regularly during the design process, and also share my models with the team so any changes that might impact the circuit boards are immediately accessible to the electrical engineers, for instance. Rendering of Flair created in Fusion 360. What are some of the trends you are seeing in the design of energy conservation devices such as Flair? Physical interfaces in many instances are disappearing, which is a bit strange considering the simplicity of things like the door knob or light switch. This is because the conventional wisdom is that smartphones can and will be the interface for everything. Our opinion is that there are just too many scenarios where someone doesn’t have their phone connected to a building’s system, the battery is dead, etc. to not have some sort of interface. I think this trend will start to reverse, but for now there are a lot of plastic boxes wrapped around circuit boards without any input capabilities. What’s the best advice you have received and would like to share with emerging designers and students? The vector sum of advice is usually 0. You will often get advice from people that is completely contradictory to other advice you have already gotten. The most important thing you can do is to be discerning and expect trial and error (and enjoy it!). Have an idea for a connected device? Make it a reality with Fusion 360.